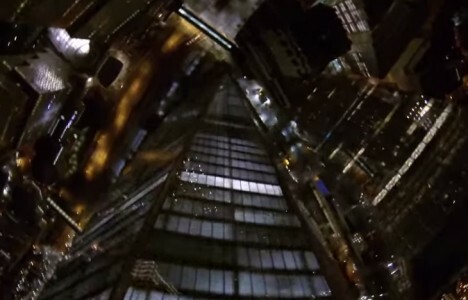 Breaking into One World Trade Center and scaling to its top was just the beginning for this daring trio, who then not only parachuted from close to the peak but also had to navigate nearby structures on the way down and ultimately land in the street. 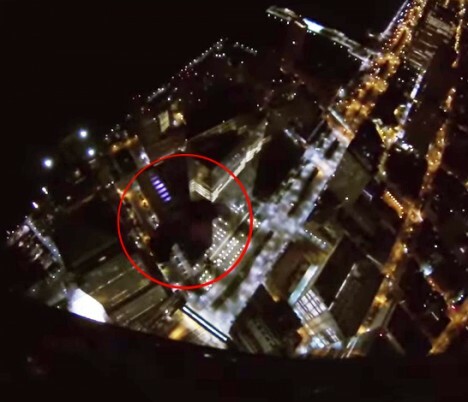 If you are not one for suspense, skip to the two minute and thirty second mark in the first video above to watch as the first jumper takes the plunge from the 1,776-foot tower, followed shortly thereafter by the man behind the camera. After months of hiding their identities, James Brady, Marco Markovich and Kyle Hartwell have turned themselves in and are already raising legal funds for their defense. They are charged with burglary, reckless endangerment and jumping from a structure. According to the New York Times, the trio have been “described by their lawyers as experienced, amateur sky divers who also sought thrills leaping from buildings, bridges and other structures.” As for how they got in and up in this case: apparently, they simply slipped through a hole in the fence, scaled the stairs and did not encounter any security along the way to the top of the tower above. A similar stunt was pulled by a teenager not too long ago, but reporters who tried to follow suit found themselves caught and arrested.